Bloomingdale's has started their Friends & Family Sale and offering an extra 25% off items labeled "Friends & Family: 25% off discount applied in bag", plus take an extra 20% off small electrics, gadgets & designer fine jewelry as well as cookware labeled with promo. Get free shipping when you become a Loyalist, it's free to join on their site, otherwise shipping is free on orders of $150 or more, or choose free store pickup. Sale ends April 14th. Bloomingdale's is having a Buy More, Save More Sale and offering an extra 20% off orders of $100-$249, 25% off orders of $250-$499, or take an extra 30% off orders of $500 or more with coupon code SAVEMORE. Eligible items will be marked with the code. Get free shipping when you become a Loyalist, it's free to join on their site, otherwise shipping is free on orders of $150 or more, or choose free store pickup. Sale ends Sunday night. Bloomingdale's has started their Labor Day Big Brown Bag Sale and offering an extra 20% off over 23,000 sale and clearance items yielding a discount of 40% to 60% off, discount will apply in cart. Eligible items will be labeled. Get free shipping when you become a Loyalist, it's free to join on their site, otherwise shipping is free on orders of $150 or more, or choose free store pickup. Sale ends Monday night. Bloomingdale's is offering an extra 25% off off thousands of Sale Items with coupon code EXTRA25. Eligible items will be labeled with the code. Get free shipping when you become a Loyalist, it's free to join on their site, otherwise shipping is free on orders of $150 or more, or choose free store pickup. Offer ends Saturday. Today only, Bloomingdale's has up to 75% off over 19,000 Sale & Clearance Items from all departments, plus, they are offering an extra $75 off orders of $350 or more with promo code TODAYONLY. Eligible items will be labeled with the promo code. Get free shipping when you become a Loyalist, it's free to join on their site, otherwise shipping is free on orders of $150 or more, or choose free store pickup. Bloomingdale's is having a huge Summer Break Sale with up to 75% off thousands of sale & clearance items, plus, get an extra 20% off items labeled "take 20% off" and the extra discount will apply in-cart. 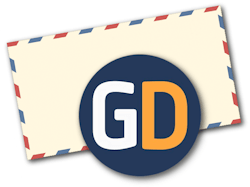 Get free shipping when you become a Loyalist, it's free to join on their site, otherwise shipping is free on orders of $150 or more, or choose free store pickup. Sale ends Sunday night. Bloomingdale's is having a Friends & Family Sale and offering an extra 25% off select items, applicable items with be marked and discount will apply in cart. Also, free shipping is included on all orders with no minimum purchase required. Sale ends Sunday night. Bloomingdale's is offering an extra 25% off over 10,000 Permanently Reduced Sale Items, discount is automatically applied at checkout. Get free shipping when you become a Loyalist, it's free to join on their site, otherwise shipping is free on orders of $150 or more, or choose free store pickup. Offer ends Sunday night. Through Sunday night, Bloomingdale's is offering an extra 25% off over 7,000 Permanently Reduced Sale Items, discount is automatically applied at checkout. Get free shipping when you become a Loyalist, it's free to join on their site, otherwise shipping is free on orders of $150 or more, or choose free store pickup. Through Monday night, Bloomingdale's is having one of their famous Big Brown Bag Sales with 20% to 50% off regular-priced items and 60% to 75% off almost all sale items. Get free shipping when you become a Loyalist, it's free to join on their site, otherwise shipping is free on orders of $150 or more, or choose free store pickup. Bloomingdale's is having a Labor Day Big Brown Bag Sale with 40% to 60% off sale and clearance items. Get free shipping when you become a Loyalist, it's free to join on their site, otherwise shipping is free on orders of $150 or more, or choose free store pickup. Sale ends Monday night. Bloomingdale's is having a huge Main Event Sale and offering an extra 25% off regular price, sale, and clearance items with coupon code MAINEVENT (eligible items will be marked). Get free shipping when you become a Loyalist, it's free to join on their site, otherwise shipping is free on orders of $150 or more. Sale ends Sunday night. Bloomingdale's is having a Friends & Family Sale and offering an extra 25% off sitewide, even on sale items already marked down to up to 70% off when you apply coupon code FRIENDS. Get free shipping when you become a Loyalist, it's free to join on their site, otherwise shipping is free on orders of $150 or more. Sale ends April 9th. New markdowns taken! Bloomingdale's is having a Winter Break Sale with up to 80% off over 18,000 items from all departments, discounted prices are shown. Get free shipping when you become a Loyalist, it's free to join on their site, otherwise shipping is free on orders of $150 or more. Sale ends Sunday. Bloomingdale's is having a Fall Break Sale and has taken an additional 25% to 50% off over 10,000 clearance items for a total savings of up to 70% off, discounted prices are shown. Get free shipping when you become a Loyalist, it's free to join on their site, otherwise shipping is free on orders of $150 or more. Sale ends Sunday. Bloomingdale's is offering an extra 40% off one (1) Sale Item or an extra 50% off two (2) or more sale items, discount is applied automatically in-cart. Some exclusions apply, see site for details. Get free shipping when you become a Loyalist, it's free to join on their site, otherwise shipping is free on orders of $150 or more. Sale ends Sunday 7/24. Bloomingdale's has the Michael Michael Kors Jet Set Medium Snap Pocket Tote in Baltic Blue for $93.45 when you apply coupon code EXTRA25. Prices start at only $2.99 before the discount. Some exclusions apply, see site for details. Free shipping is also included on orders of $150 or more or Loyallist members get free shipping, it's free to join, see site for details. Deal ends Sunday. Bloomingdale's is having a Friends & Family Sale and offering an extra 25% off sitewide, even on sale items already marked down to up to 60% off when you apply coupon code FRIENDS. And, everyone gets free sitewide shipping during this sale. Sale ends Sunday 4/10. 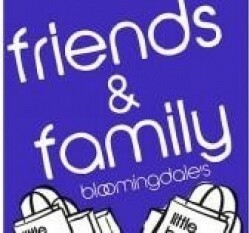 Bloomingdale's has their Friends & Family Sale going on through the end of the day today. Use coupon code HOLIDAY to save 25% sitewide, including sale items. All orders include free shipping as well. Loyalists get a free $25 rewards card for every $100 spent (free signup). While supplies last Bloomingdale's has the Set of 2 Graceful Portmeirion Ambiance Glass Bowls for $3.75 when you apply coupon code FRIENDS. During their Friends & Family sale all orders include free standard shipping. Deal ends Sunday 10/4. Bloomingdale's is having a Friends & Family Sale and offering an extra 25% off sitewide, even on sale items already marked down to up to 60% off when you apply coupon code FRIENDS. During this sale all orders include free standard shipping. Sale ends Sunday 10/4. Bloomingdale's is having their famous Big Brown Bag Sale with up to 70% off a selection of clothing, shoes, handbags, accessories and more, prices are as marked. Plus, take an extra 20% off select sale and clearance items with coupon code BIG20, eligible items are marked. Get free shipping when you become a Loyalist, it's free to join on their site, otherwise shipping is free on orders of $150 or more. Sale ends Monday 9/7. Originally $428.00, Bloomingdale's has the Marc by Marc Jacobs Shoulder Bag, Bloomingdale's Exclusive Luna Studded Bucket in Sea Aqua for $160.50. Also, free shipping is included with this deal. Bloomingdale's is having a One-Day Only Home Sale with Friday preview. Save 20% to 75% off bedding, appliances, furniture and more. Prices start at only $1.99. Free shipping is also included on orders of $150 or more or Loyallist members get free shipping, it's free to join, see site for details. Sale ends Saturday 7/25. Bloomingdale's is having a Private Sale with up to 75% off items from all departments, plus get an extra $25 off every $100 spent with coupon code PS25. Free shipping is also included on orders of $150 or more. Sale ends Sunday. Bloomingdale's has select Calphalon Cookware up to 54% off, plus take an extra 25% off when you apply coupon code FRIENDS. Prices stat at only $14.25 after the discount. Free shipping is also included on orders of $150 or more or Loyallist members get free shipping, it's free to join, see site for details. Deal ends Monday. Bloomingdale's is having a Friends & Family Sale and offering an extra 25% off most items sitewide, see site for details, when you apply coupon code FRIENDS. Free shipping is also included on orders of $150 or more or Loyallist members get free shipping, it's free to join, see site for details. Sale ends Monday. Bloomingdale's is having a Big Brown Bag Sale with 20% to 60% off over 21,000 items, Prices start at only $3.99. Get free shipping when you become a Loyalist, it's free to join on their site, otherwise shipping is free on orders of $150 or more. Bloomingdale's has the UGG Australia Women's Classic Short Glitter Leopard Boots in your choice of Navy or Bronze for $95.20 when you apply coupon code SHOES. Free shipping is included on all orders of $150 or more or for Loyallists. Bloomingdale's is having a 5 Day Weekend Sale with up to 65% off. Plus get an extra 20% off select clearance items with coupon code TAKE20. Free shipping is also included on orders of $150 or more. Sale ends Monday. Bloomingdale's is having an After Christmas Sale & Clearance with up to 75% off, plus take an extra 20% off with coupon code CELEBRATE. Free shipping is also included on orders of $100 or more through Thursday..
Bloomingdale's has up to 40% off UGG Australia Boots & Shoes. You will also get free sitewide shipping and free returns. Bloomingdale's is having a Big Brown Bag Sale with up to 50% off sitewide. 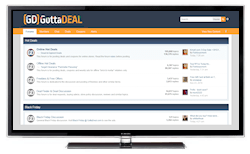 Plus, you will get at extra $25 off a $200 order on almost everything, see site for details. You will also get free shipping on all orders. Sale ends Nov. 29th. Bloomingdale's has up to 65% off Women's Designer Coats, plus take an extra 20% off with coupon code HOLIDAY. Prices start at only $44.24 after the discount. All items currently include free shipping. Sale ends Sunday. Bloomingdale's has the Luminarc 18-Piece Clear Metro Glassware Set for $10.39 when you apply coupon code HOLIDAY. Free shipping is also included. Bloomingdale's is having a Friends & Family Sale and offering an extra 20% off sitewide, even on most sale items already marked down to up to 50% off with coupon code HOLIDAY, see site for details and exclusions. Free shipping is also included on any order. Sale ends Sunday. Bloomingdale's is offering Free Shipping Sitewide through 12/22 with no minimum purchase required. Plus they have up to 75% off sale and clearance items. Bloomingdale's offers an Extra 25% off almost all regular, sale and clearance items with coupon code X10ZI7OHZZ2T, some exclusions apply. Free shipping is also included on orders of $150 or more. Code expires Sunday. Bloomingdale's is having a Friends and Family Sale and offering an extra 20% off almost all regular and sale price items for women, men, kids and home, and an extra 10% off almost all regular and sale price electrics with code FRIENDS. Free shipping is also included on all orders. Sale ends Sunday.